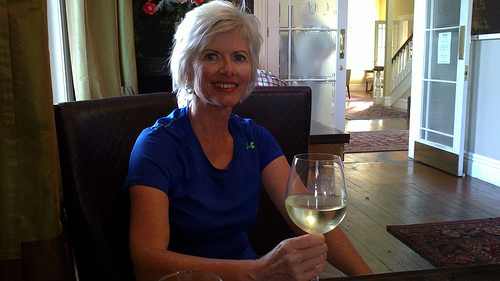 Dining out in Martinborough New Zealand can be a wonderful experience. Martinborough is a boutique region with wonderful wines. So if a vineyard lunch is what you’re looking for, Poppies winery and restaurant is the ideal choice. Actually, Poppies doesn’t have a restaurant in the traditional sense. What they do extremely well, are magnificent lunch platters. Our platter was loaded with stuffed cherry tomatoes, marinated aubergines, homegrown olives and succulent meats. This was accompanied by home-made, pesto and hummus. There’s a rustic stylishness in the whole complex. Its easy to see whey Poppies is a popular wedding venue. Just wait’ll you see the ladies bathroom! Its not often you see antique Italian bathroom fittings in a women’s powder room. 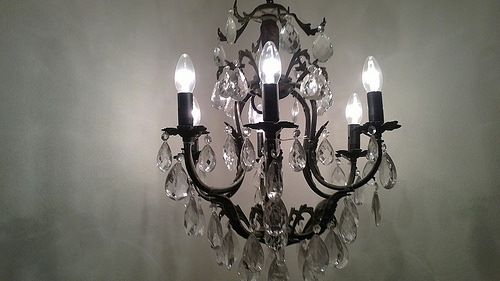 These antique nd chandeliers really provide the ‘glam’. Now if you’re looking for something right in the middle of town, Martinborough has a quaint cinema called the Circus Cinema. You’ll find it located off the main street running off central hub in Jellicoe Street. The Circus Cinema also has a licenced restaurant for casual dining including pizzas. This is actually quite a nice experience and we had a lovely pizza. If you don’t mind the food being delivered at a snail’s pace, it is a very nice place to relax before or after a movie. 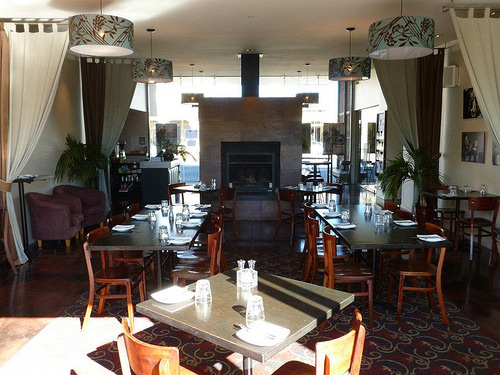 A few years ago we had a fantastic dining experience at the Martinborough Hotel which was, at the time, managed by the Peppers Group. We’re pleased to report that although the management had changed, the stand of service and food had not. 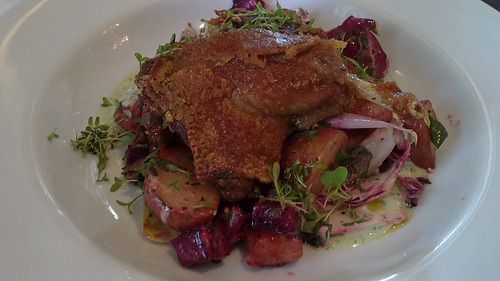 This was a memorable main – the duck was mouthwateringly delish. I do hope this restaurant can stay in the same hands, but you just never know. 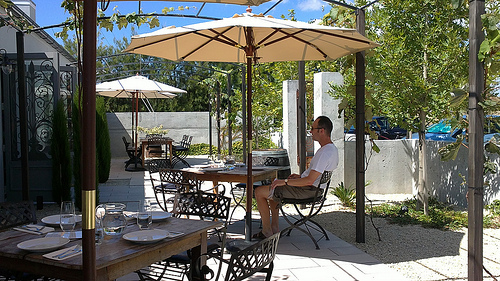 There is another dining option we just didn’t have time to experience but we have heard good things about Tirohana Estate Vineyard which serves dinner in a beautiful villa. Bookings are essential. Ok, two days in Martinborough is not nearly enough but as the say goes, “little fish are sweet”. No matter for how long, it’s always a pleasure being a traveller Dining out in Martinborough New Zealand.